Barracuda Energize Updates provide your Barracuda Networks product with protection from the latest Internet threats. The team at Barracuda Central continuously monitors the Internet for new trends in network security threats and develops strategies to mitigate those threats. Energize Updates deliver the latest definitions most appropriate to your product -- spam, virus, content categories, spyware filter, intrusion prevention, IM protocols, policies, security updates, attacks and document formats. These updates are sent out hourly or more frequently if needed, to ensure that you always have the latest and most comprehensive protection. Barracuda Energize Updates subscriptions must be purchased with any Barracuda Networks appliance to provide complete protection from the latest internet threats. Subscriptions can be purchased for 1, 3 or 5 year terms. Energize Update subscriptions will be provided for up to 5 years for a particular hardware platform. 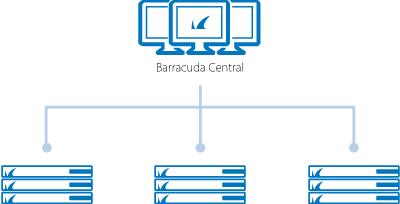 Hardware can be easily refreshed at any time through the "Barracuda Hardware Refresh Program". Any unused portion of Energize Updates subscription will automatically be transferred to the new hardware platform. How long does the Energize Update Service last? The Energize Update Service begins on the date the Barracuda Networks product is activated and expires exactly one year, three years or five years from the delivery date, depending on the specific service plan purchased. What is included in the Energize Update? The Energize Update includes email support 24x7 and phone support between the hours of 9 a.m. and 5 p.m. Monday through Friday in the US (Pacific Time), Japan, China, Austria and the United Kingdom time zones. Firmware Maintenance, which includes new firmware updates with feature enhancements and bug fixes. Security updates to patch or repair any security vulnerabilities, and optional participation in the Barracuda Early Release Firmware Program. Do I have to buy the Energize Update subscription? Yes, All Barracuda Networks products must be purchased with an Energize Update subscription. Can I upgrade to a 3 or 5 year subscription period if I originally purchased only 1 year? Yes, you have 60 days from your date of purchase (initial purchase or renewal purchase) to extend your subscription period. May I transfer the Energize Update Subscriptions? Energize Updates Subscriptions belong to the original purchaser and may NOT be transferred under any circumstances. How do I renew my Energize Update Subscription? Before the Energize Update subscription expires, please contact Barracuda Networks at (408) 342-5400 or 1 (888) Anti-Spam, Monday-Friday, 9 a.m. - 6 p.m. (PT) to renew. Please have your product serial number available. Before the Energize Update subscription expires, you should contact your Reseller, the Reseller will coordinate your renewal. What happens if I let my Energize Updates expire? Letting your Energize Updates expire immediately puts your company’s passwords, usernames, intellectual property and your employee’s personal and banking information at risk. Without receiving real-time and hourly updates your network and users will no longer be protected from any future viruses, spyware, malware and spam that get released in the wild. Furthermore, you will no longer have access to our industry leading technical support team. Finally, Software updates and subscription information provided by Barracuda Energize Updates or other services may be necessary for the continued operation of the Software. Can I renew after the expiration date of my Energize Update? Yes, you can renew at any time after the expiration date of your Energize Update but please note all subscriptions will start from the expiration of the previous subscription term. I renewed 4 months late for a 1-year term but only got 8 months left of my subscription, why? All renewal subscriptions start from the expiration date of the previous subscription term, meaning if you renew 4 months late your subscription will only have 8 months left. Once renewed you will be sent all updates, patches and firmware releases you missed during your 4 month lapse ensuring you still get what you paid for, a 12 month subscription of updates & firmware releases. By enforcing a policy of “continuous subscriptions” we can confidently stand behind the quality and performance of our products knowing they have received every security patch and firmware update released.